One of my favorite movies is Forrest Gump. I love the part where Forrest decides that since he was a gillizoniare that he would cut the grass for free! It is just sweet inicense watching him on that Snapper lawnmower going back and forth cutting grass. He is so content and who can forget the great posture! For the past week or so I have been watching that scene over and over. The only thing different is that instead of Tom Hanks as Forrest Gump it has been Knox as Forrest Gump! Knox found Poppa's old Comet 30 Snapper lawnmower. He spent a whole day getting it so it would run again. He was covered in grease and oil but he got that lawnmower to run! He has been riding all over the farm cutting all the grass he can--even the grass we don't cut that often. When he's not cutting grass, he's riding around pulling the cart with a special hook that he made. This lawnmower has become his own 4-wheeler! It's not as fast and a whole lot noiseier!! When I was in the hardware store the other day, Steve asked what did Knox do to get into trouble. I was not sure what he was talking about. He said, "I saw you had him cutting grass in this awlful heat. And then had him raking up the grass clippings!" I quickly let him and everybody else know that Knox was out there doing the grass cutting and raking ALL on his own! And it was HOT!! 90-something degrees with 100-something heat index! He was all excited about what he was doing and didn't even wait to come in when I told him it was too hot to be out here! ...not to fast, but determined to finished and content with himself! Come and follow with me! Forrest Gump is as funny as it gets, right?! Loved that movie, too. Thanks for the fun reminder! I'm your newest GFC follower and would love a follow back. Cute story! New follower from the friday hop! Please stop by http://aboutamom.com to say hi! OMG! That's wonderful. I love those years when they're flexing their own independence and succeed! In a few years, you won't get him near that mower!... Wonderful memory. Thanks for sharing. Hi! Just stopping by. 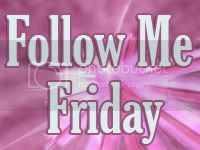 Following you from Hop Along Friday Blog Hop. Would love a visit and a follow back on my blog: http://blog.writerslairbooks.com. We are having a fantastic iPad 2 giveaway and I hope you will enter if you haven’t already! Thanks!